Whereas in previous DataCite workshops we looked in detail at some of the key challenges of data citation, the fifth workshop took a more holistic view at the implementation of DOIs and the practical measures that repositories can take to overcome some of the technical, financial and cultural barriers to the adoption of DOIs for research data. The workshop provided an opportunity for institutions that were considering adopting DOIs for their data to find out what is expected of them and to put their questions directly to current DataCite clients. Elizabeth Newbold from the British Library began with a brief overview of DataCite’s role and structure and a reminder of its central aim: to make data easier to find, access and cite through the application of Digital Object Identifiers (DOIs). The British Library is the UK member of DataCite and is an “Allocating Agent” for DataCite DOIs. UK-based organisations that wish to obtain DOIs for their data can enter into a contractual agreement with the British Library to gain access to the DataCite system. In other words, any data that are registered with DataCite must be managed and curated such that they remain persistently accessible and usable (as appropriate). This can be demonstrated by, for example, having formalised data management plans and policies which demonstrate a commitment to the long-term maintenance of the data in question. The landing page is the webpage to which users are directed when they resolve or click on a DOI. It must therefore be publicly accessible (“open”) and contain up-to-date information about the dataset and how it can be accessed. DataCite requires that certain, basic metadata is provided for all registered datasets. The five mandatory metadata properties are: Identifier (must be a DOI), Title, Creator, Publisher and Publication Year. The DataCite Schema (v.2.2) also offers a further 12 optional properties that clients are encouraged to use. The five minimal properties compose the DataCite recommended citation format: Creator (Publication Year): Title. Publisher. Identifier. All DataCite clients are provided with a unique DOI prefix but can define the suffixes to meet their own requirements, although they should adhere to a few basic rules: only characters a-z, 0-9 and /. -_ should be used and it should be no longer than 255 characters. Next, the basics of the DataCite technical infrastructure were introduced. At the core of the DataCite service is the Metadata Store (MDS), which holds the metadata associated with data for which a DOI has been minted. The DOI system is based on the Handle infrastructure, and DOIs minted in the MDS are passed to the Handle server (maintained by CNRI) through which they can be resolved in the Global Handle Registry. A practical demonstration of DOI-minting using the DataCite Metadata Store followed – a walk-through of the whole process can be seen in these videos. Tom Parsons, from the ADMIRe project, presented the ongoing work on the development of the University of Nottingham’s data management infrastructure. The University’s (approved but not yet released) RDM Policy states that “The University will provide mechanisms and services for storage, backup, registration, deposit, retention and preservation of research data assets in support of current and future access, during and after completion of research projects.” Part of the remit of the ADMIRe project is to evaluate current data management practices and identify any additional provisions that are necessary to meet this commitment. To understand the needs of researchers and other stakeholders, a range of approaches were taken, including a survey of University research staff (total of 366 respondents), focus groups and interviews. Data exists in a wide range of formats, including physical (e.g. lab notebooks). Many of these cannot be accommodated in the repository at present. On average an individual researcher stores data in six separate locations. The full survey results can be accessed here. At present, the project is evaluating this minimal set and considering whether additional fields are necessary to meet requirements. Have not yet minted a DOI! A major component of the Open Exeter project has engaging with stakeholders within the University of Exeter to raise awareness of RDM and undertake training activities. Gareth emphasised that engagement should be happening throughout the entire RDM lifecycle – not just at the policy and advocacy stages. A multi-faceted approach has been adopted, including surveys, interviews and focus groups, talks and presentations for targeted audience and existing staff meetings and workshops. The day concluded with a lively Q&A session where attendees put their questions about how to work with DataCite to current clients and the BL DataCite team. The British Library, in partnership with JISC, hosted a series of workshops between May 2012 and July 2013 which aimed to promote good data citation practice in the UK research community. You can read about the workshops and find out more about the British Library's work with DataCite here. 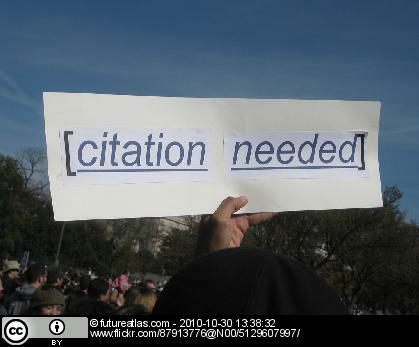 For a list of useful articles and reports relating to data citation, join the British Library Data Citation group on Mendeley.